CFM International has booked orders and commitments for nearly 2,660 LEAP engines to power Airbus A320neo, Boeing 737 MAX, and COMAC C919 aircraft at a value of more than $29 billion U.S. at list price. The foundation of the LEAP engine is heavily rooted in advanced aerodynamics, environmental, and materials technology development programs. It will provide up to 15 percent better fuel consumption and an equivalent reduction in CO2 emissions compared to today’s best CFM engine, along with a 50 percent reduction in oxides of nitrogen emissions, and up to a 15 decibel reduction in noise. 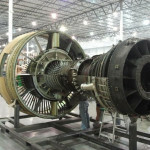 All this technology brings with it CFM’s legendary reliability and low maintenance costs. 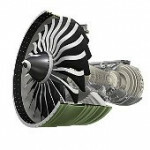 LEAP engines are a product of CFM International (CFM), a 50/50 joint company between Snecma (Safran group) and GE and the world’s leading supplier of commercial aircraft engines.